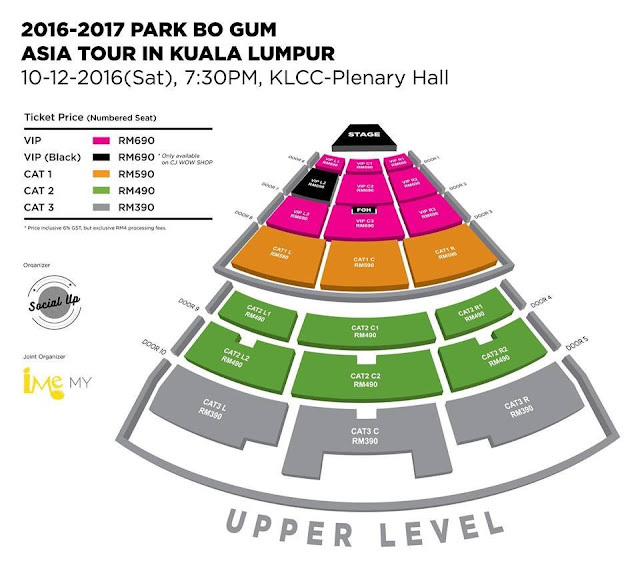 Park Bo Gum is kicking off his 2016-2017 PARK BO GUM ASIA TOUR IN KUALA LUMPUR on 10 December 2016, 7:30pm at KLCC Plenary Hall. The internet was fueled with excitement since news broke early this month that the Korean heartthrob is set to make Kuala Lumpur his first stop of the Asia tour. Park Bo Gum instantaneously charmed viewers and rose to popularity following his role as a smart and mischievous crown prince in the global hit drama series, “Love in the Moonlight”, which is currently airing on 8TV every Thursday and Friday at 9.30pm, and on Tonton (www.tonton.com.my). 2016-2017 PARK BO GUM ASIA TOUR IN KUALA LUMPUR is brought to you by Blossom Entertainment, HS E&C and CN Group, and jointly presented by IME Malaysia and Social Up, the latest platform for cool and happening events that bring people together on various interests. At the event dubbed “Oh Happy Day”, Park will be greeting his loyal supporters in person, while presenting Malaysians an unforgettable evening with his amazing talents. RM4 processing fee per ticket must be paid upon collection on the event day at CJ WOW SHOP ticket redemption counter. Outlet ticket sale will open on Thursday, 17 November 2016, 10:30am onwards at Speedy music outlet, Victoria music outlet, Rock Corner outlet, Neway Karaoke outlet, The Mines shopping mall and TicketCharge office.